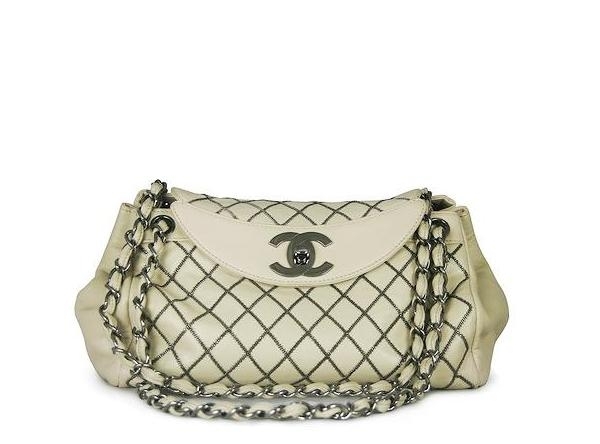 This sophisticated classy Chanel bag features off white quilted leather contrasted with gun metal stitching, the CC signature flap and the signature Chanel chain strap. The matching off white leather interior lining includes a zip pocket. Layaway purchase plan available. Please email us for more information.